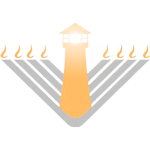 Chabad Villa Guests can ship for less. 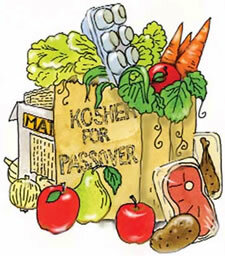 Prepared "Passover Meals Made Easy" with Webermans Traditional Foods. And an A La Carte Passover selection. Mention Chabad of Orlando, when ordering. Richter caterers will also be offering meals. South Florida Kosher Meats will be delivering groceries, meat, wine etc. to Orlando this year. $80.00 for the pulling the order, storing it and delivering striaght to your door. One box or 50 boxes. Same fee per delivery address. ~ We carry wines, see our Wines on our "Extra Orders Form"
~ Winn Dixie carries some wines. ~ The Grapevine has an amazing variety. If you order from them, it can be shipped to Orlando. "Mention Chabad, and to ship to Orlando"
The Current Mikvah at Chabad on the north side of Orlando does not open for Keilim. See below for natural lakes. Chabad of S. Orlando is in the process of Building a Mikvah on their new property, which will IY'H have a Women's, Men's and Keilim Mikvah. If you can help us be M'zakeh es Rabim, please email us. Thank you. East Lake Tohopekaliga (larger) - 192 east, left on Partin Settlement Rd. to East Lakeshore Blvd. Spring Lake. Starts on Chabad's property. 7347 W. Sand Lake Rd. Extras - Matzah, Fridge/Freezers, Wine, Tables/Chairs, Coke - This form is ONLY for Chabad Villa Guests.